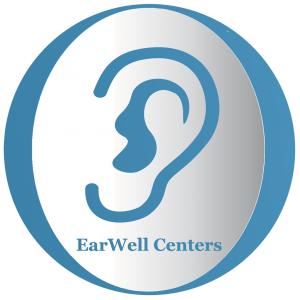 The EarWell Centers of Texas provides the first non-surgical device, the EarWell Infant Ear Correction System, to correct infant ear deformities. 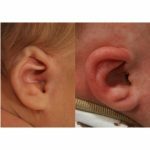 The EarWell inventor, Dr. Steve Byrd is an authority on infant ear molding and surgery when needed, to correct infant ear deformities. Infant ear molding with the EarWell is highly effective on infants less than three weeks of age. It has been successful on children slightly older but favorable results diminish with each passing day. Most ear deformities or malformations of the ear are congenital (present at birth), although some can occur due to disease or trauma later in life. Ear deformities can be a symptom of a genetic disorder, such as CHARGE or Goldenhar syndromes, or the result of a genetic mutation. While some ear deformities are only a cosmetic concern, other ear anomalies can affect nearby bones, nerves, cartilage, and muscles. 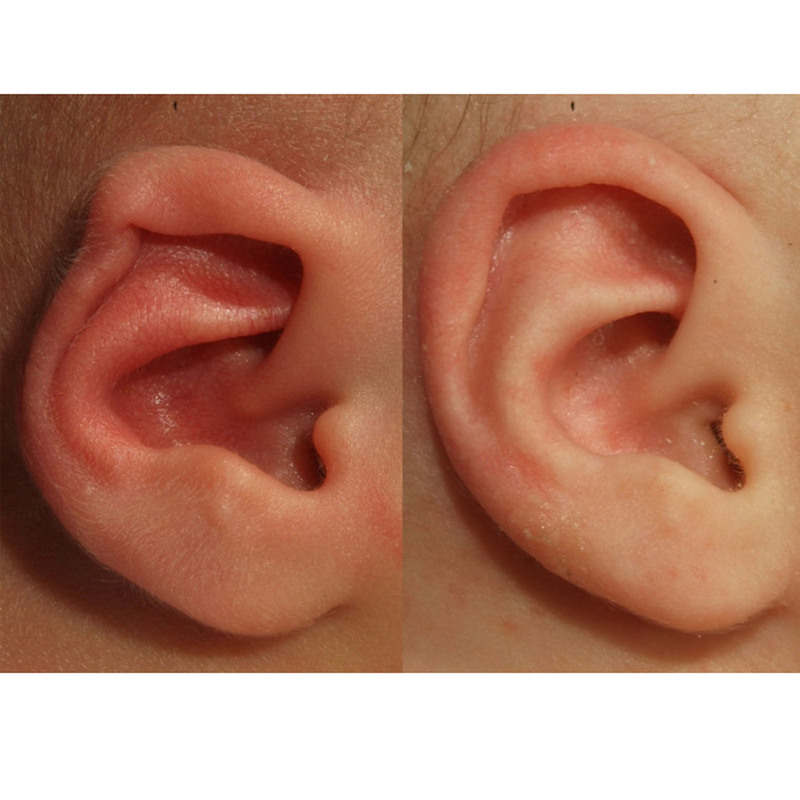 Hearing loss and developmental delays can also be associated with ear deformities. 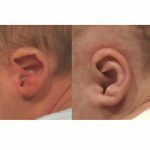 Lidding ear deformity in newborn infants occurs when the upper third of the ear and when it fails to develop varying degrees of folding over (lidding) occur. The routine use and application of the EarWell will fully correct these deformities. 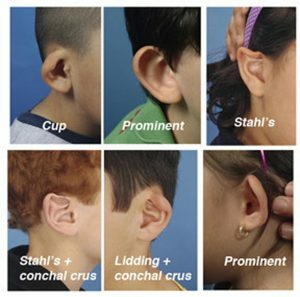 Stahl’s ear deformity in newborn infants (also called Spock’s ear) is an ear deformity characterized by an extra horizontal cartilage fold which gives the ears a pointed shape. 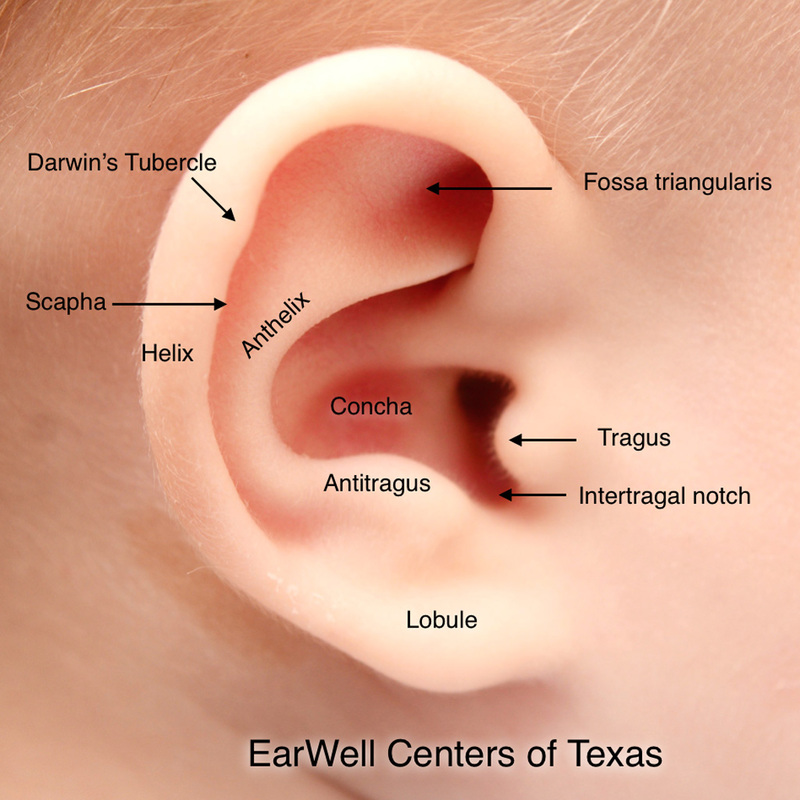 Stahl’s ear can be reshaped by the Earwell™ system if detected early. 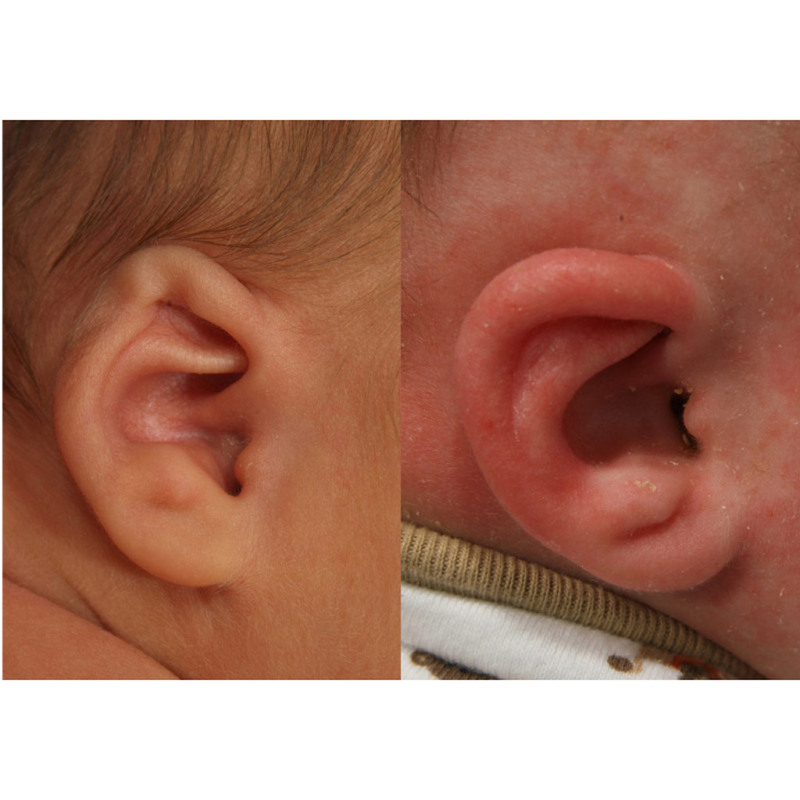 Helical rim ear deformity in newborn infants occurs with helical rim irregularities or compression that may occur anywhere along its entire circumference. The good news is that these deformities and irregularities are generally completely corrected when diagnosed early and treated with infant EarWell molding therapy. Conchal crus ear deformity in newborn infants is an abnormal fold of cartilage crossing the mid portion of the concha cymba essentially dividing the ear in half. A key feature of the EarWell Infant Ear Correction System is the conchal former which is uniquely designed to allow downward pressure to be applied to the conchal crus. 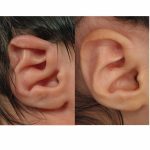 Cryptotia ear deformity in newborn infants is an ear deformity in which the upper portion of ear cartilage is partially buried under the skin on the side of the head. 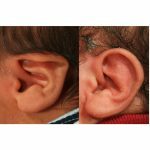 Cryptotia is one of the only ear anomalies which can potentially be treated by ear molding much later than the first few weeks of life because the ear cartilage often has a normal framework. If necessary, surgical correction (typically outpatient) may involve skin grafts or flaps to raise the ear from the side of the head. Cartilage grafts may be utilized in severe cases. 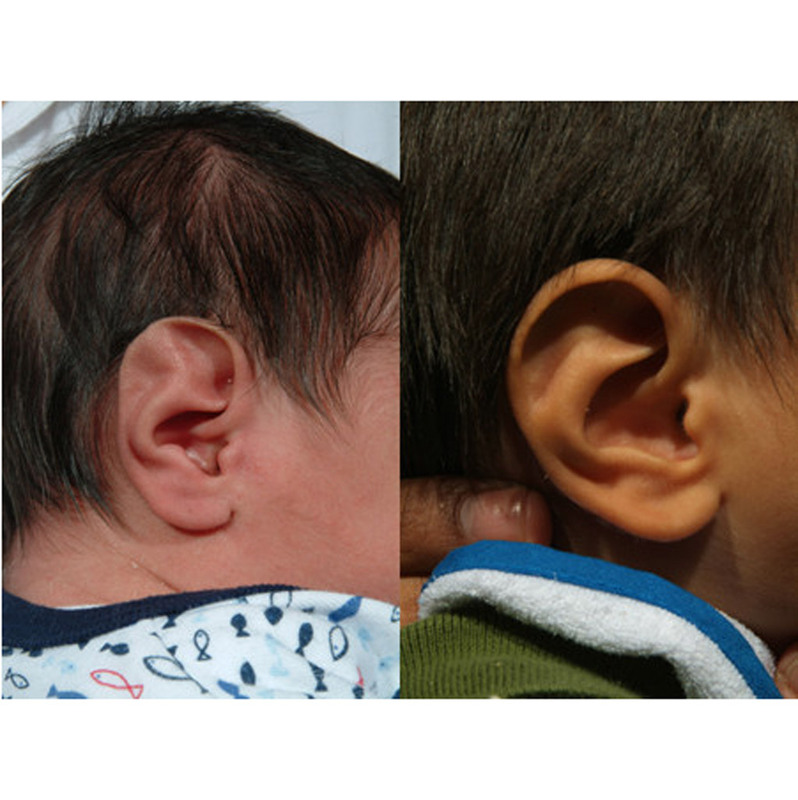 Mixed ear deformity in newborn infants are some of the most severe infant ear deformities that nave a mixture or combination of the infant ear deformities. 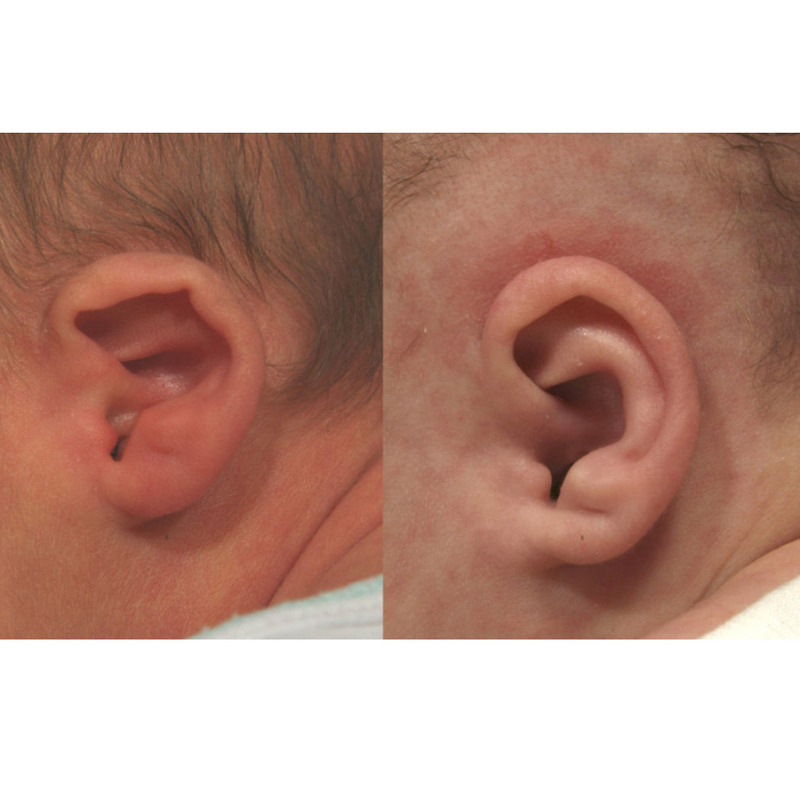 A constricted ear deformity in newborn infants is a true malformation. Malformation implies that a part is incompletely formed or that something is missing. In the case of “constricted ears” the part that is missing is either skin or cartilage or both. Constricted ear refers to a condition in which the rim of the upper ear (helical rim) is folded (lop ear), tight, or wrinkled. Unfortunately, parents are still told that their baby’s misshapen or deformed ears will self correct. Recent studies indicate that this is the exception rather than the rule. 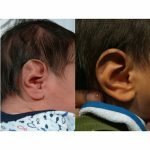 I believe that if the ears have not assumed a normal shape by the time the baby is five to seven days old, EarWell treatment should be initiated. EarWell modeling therapy provides a painless, non-surgical treatment that offers a better than 93% good to excellent correction when started in the first week of life. As maternal estrogen leaves the baby (gone by six weeks of age), the hyaluronic acid in the ear cartilage also diminishes causing the ear to stiffen and making it less amenable to molding. Surgery when the baby’s ears have reached maturity (over 90% adult size by age 5) becomes the only remaining alternative. For these reasons early diagnosis and treatment should be the standard of care for these congenital ear deformities. Infant ear malformations describe a wide range of birth defects that affect a baby’s ears and occur while your baby is developing in the uterus. Misshapen infant ears have been referred to as “deformities”. Medically speaking the word deformity infers that all parts are there, they are just misshaped. Malformation, on the other hand, implies that the part is incompletely formed or that something is missing. 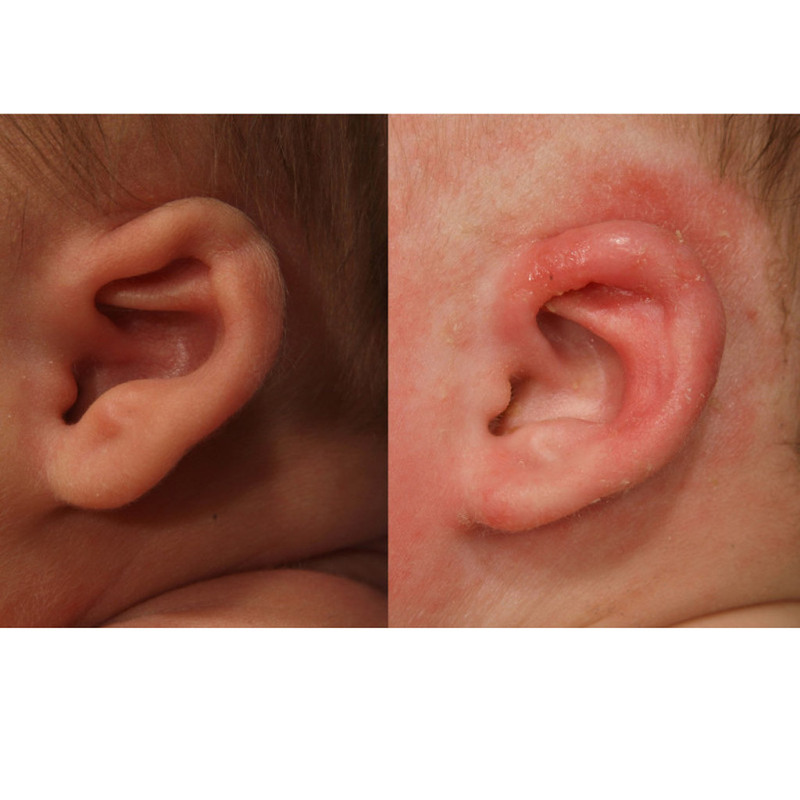 The most recent publication that Dallas plastic surgeon, Dr. Steve Byrd, reviewed was on infant ear malformations (missing skin and/or cartilage) stated that most consider malformations not a good candidate for molding. However, our study identified three levels of infant ear malformation severity Class I, II, and III. With infant ear molding a Class I was converted to a normal ear, a II went to I, and a III went to II. 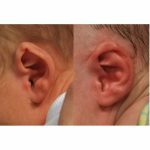 View Before and After Infant Ear Molding at EarWell Centers of Texas.